Cornish. It’s a way of life that’s quite unlike any other. While there are those that say it’s a laid back attitude, some say it’s simply not taking life too seriously. Others say it’s just plain quirky. 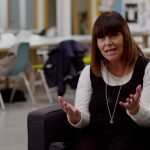 Beginning Monday, whatever it may be, Kelly’s School of Cornish aims to give you a delicious taste of it through ice cream, brilliantly voiced by Dawn French. 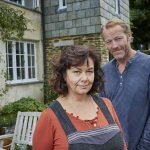 The Plymouth-bred TV star of The Vicar of Dibley and Delicious (set in Cornwall) will provide the voice over for the new Kelly’s ‘School of Cornish’ video series of adverts for the Cornish based ice-cream company, Kelly’s of Cornwall. 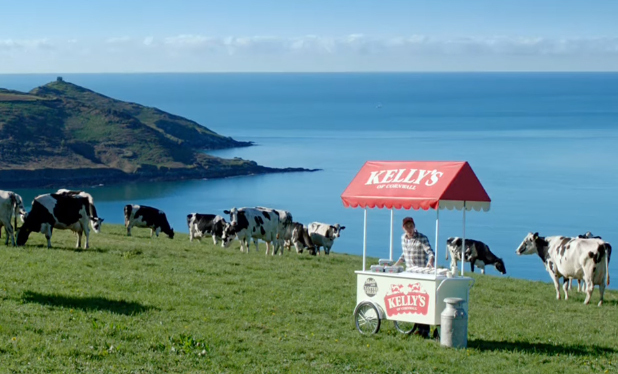 Following the success of the world’s first TV advert spoken in Cornish in 2016, Kelly’s of Cornwall ice cream has sought out a celebrity fan of the county to help further spread awareness of the treasured language. 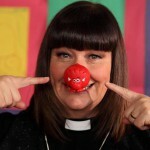 Enter Dawn French. Cornish language remains a hot topic, with recent national headlines calling for the UK government to do more to revive it following the governments decision to scrap it’s annual £150,000 of funding for the Cornish language. The videos were captured in the spring sunshine across Cornish locations including Porthtowan, Sennen and Godrevy offering up a range of comical scenarios with the appropriate Cornish word to best describe the situation, from cows blocking the road to the disaster of dropping an ice cream. With support from the Cornish Language Partnership, the end result is confusingly brilliant. While I don’t understand a word of Kernewek, a variety of the revived Cornish language, it doesn’t matter. Ice cream transcends all cultural and linguistic boundaries, Kernewek or not.